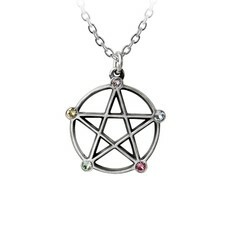 A magically intoned icon of power, the huge, wrought Medieval pentagram warns against all threat. 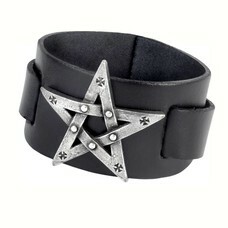 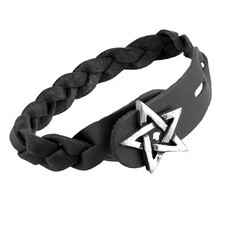 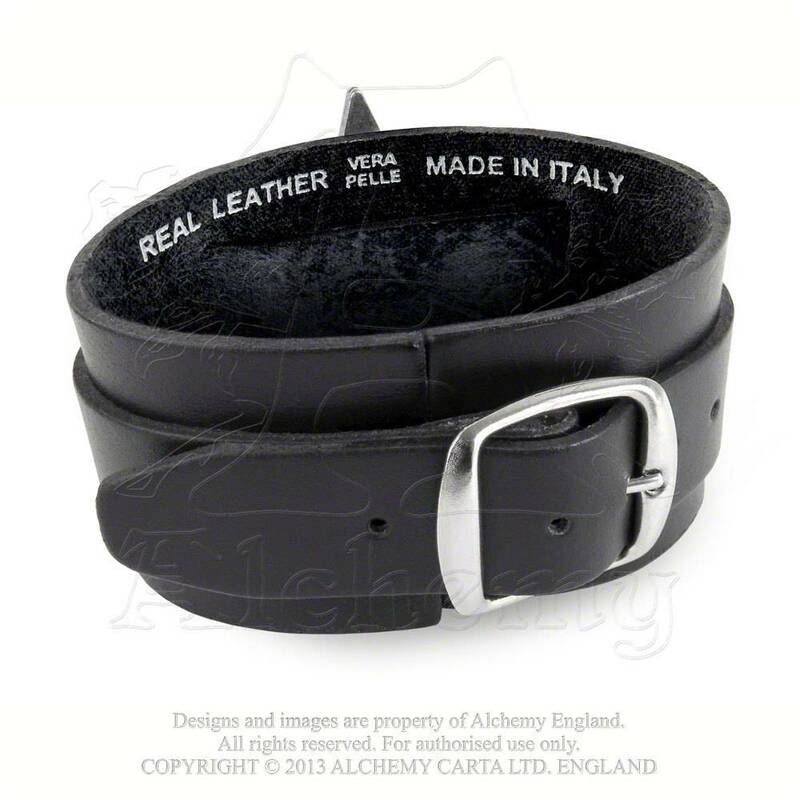 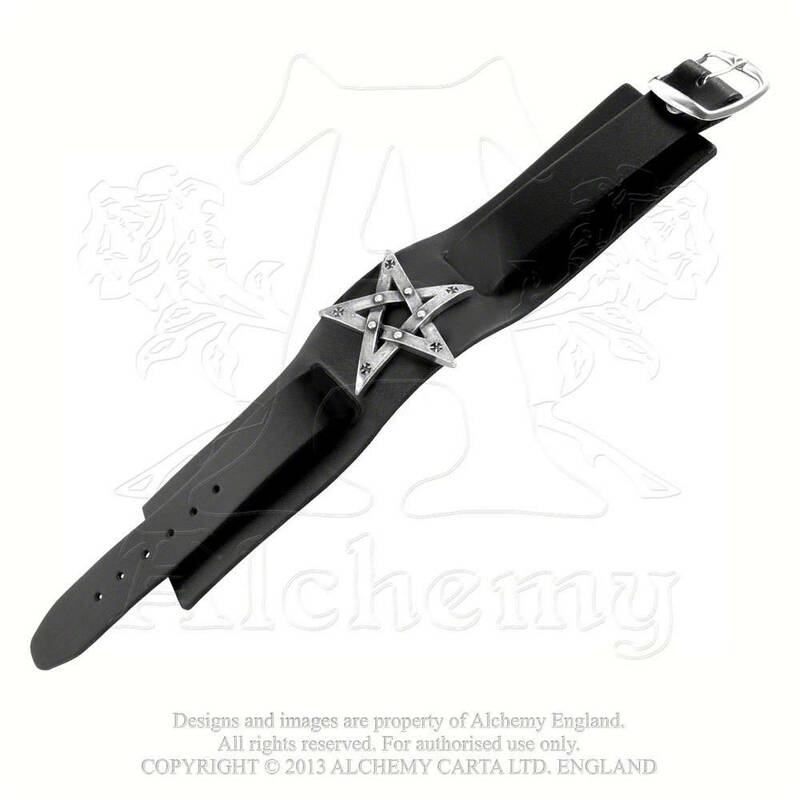 Wide black leather wrist strap bearing large pewter pentagram motif, with buckle fastening. 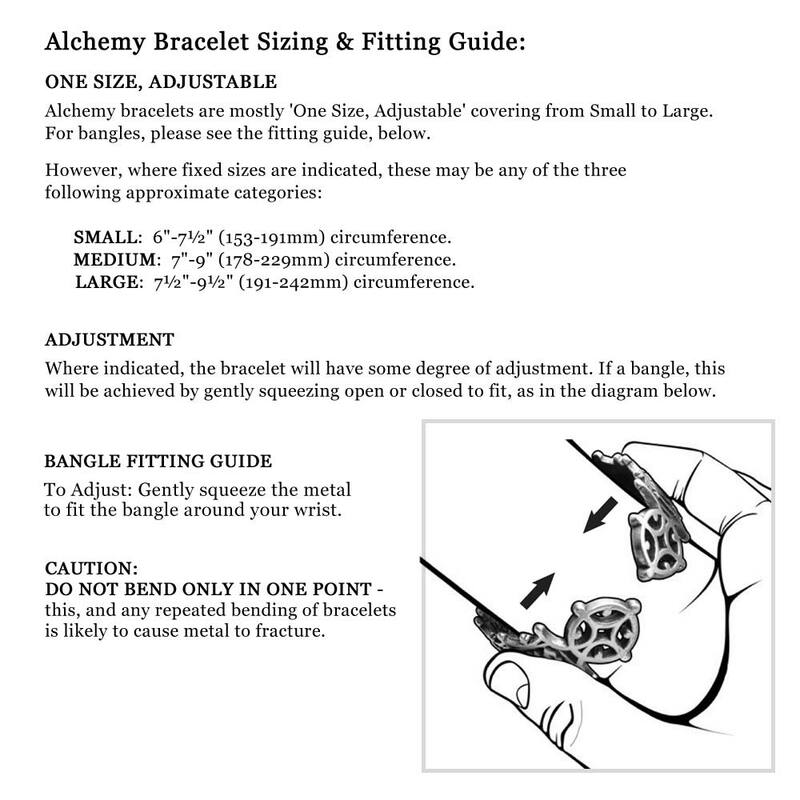 Approximate Dimensions: Width 10.94" x Height 1.81" x Depth 0.79"